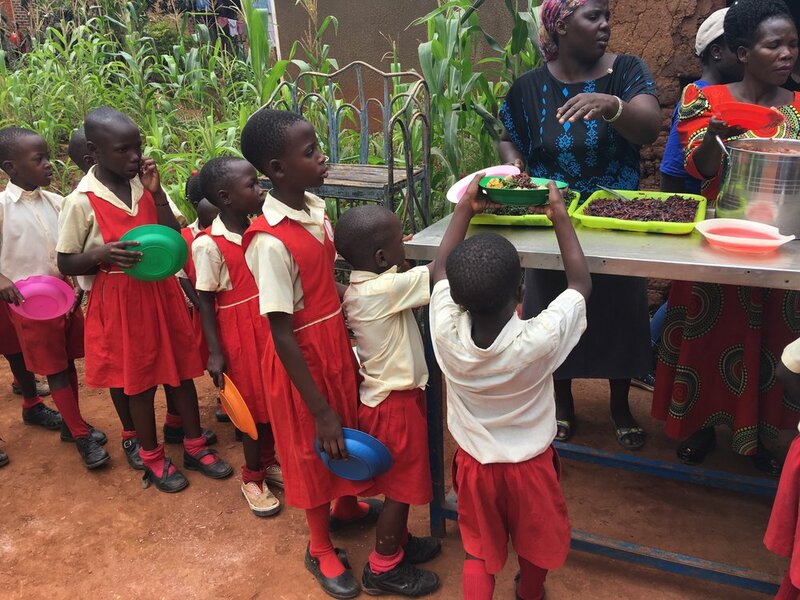 "One Child, One School & One Community at a Time"
In 2016, Lend a Hand Uganda-USA began providing 34 pupils daily lunches at school. These students were identified as those most in need (typically from single parent homes with income way below the poverty level who have taken in orphaned children). LAHU lunches, prepared by a local chef/granny, provide these children the nutrition they desperately need. As a result, their concentration and ability to learn have improved. Help us grow the number of students in our program!